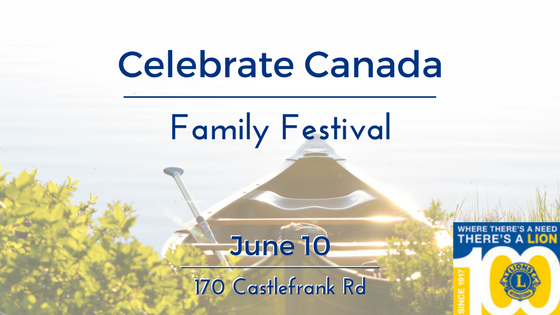 The Celebrate Canada Family Festival will be on Saturday, June 10, 2017 at 170 Castlefrank Rd. There will be all kinds of activities and events for the whole family! Stay tuned for more details and a full schedule of events!